The Richmond Cherry Blossom Festival is a Japanese-themed community event at Gary Point Park near Steveston Village in Richmond. The third annual Richmond Cherry Blossom Festival takes place on Sunday, April 7th, from 11:00 am until 4:00 pm. It’s a free event that celebrates the arrival of spring and the Japanese tradition of cherry blossom viewing (or “hanami”). At the event there is live music as well as dancing and drumming performances. Other things to see and do most years include koinobori kite flying, kimono-wearing demonstrations and displays of Japanese flower arrangements and bonsai plants. There are also food trucks on site. The festival takes place at Gary Point Park which is located at 12011 Seventh Avenue (so just a 10-minute walk west of the Gulf of Georgia Cannery in Steveston Village). Gary Point Park is situated at the mouth of the Fraser River. At the park there are a couple of hundred Akebono cherry trees, which makes it the perfect place for a cherry blossom festival. Below are some suggestions to help you make the most out of your visit to Gary Point Park and the Richmond Cherry Blossom Festival. TIP #1: While in the area, explore Steveston Village. It’s a beautiful spot to walk around. The Gulf of Georgia Cannery is especially interesting and admission is free for children ages 17 and under. TIP #2: Take your bikes if you like cycling. The area is pretty flat and there are miles of paved cycling trails. Parking on the day of the festival can also be a challenge, so taking your bicycles might save you from a long walk. Vancouver Cherry Blossom Festival – they host a number of events (both free and ticketed) during the month of April including the Sakura Days Japan Fair at VanDusen Botanical Garden. 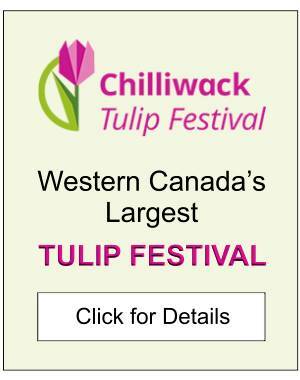 Chilliwack Tulip Festival – it’s an amazing event in the Fraser Valley in April. It’s not a festival with music and entertainment, and it doesn’t have a Japanese theme. It does though celebrate spring and showcase millions of beautiful flowers. Powell Street Festival – a distinctly Japanese event in Vancouver on the August Long Weekend. 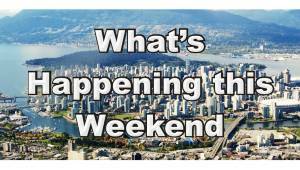 Nikkei Matsuri – a Japanese festival at the Nikkei National Museum & Cultural Centre in Burnaby on the Labour Day Long Weekend. TIP #4: A big part of Japanese-style events like this is the festival food. It’s delicious! There isn’t a huge selection at this particular event most years, but there is some, and what’s there is usually pretty tasty! Try some! For more details about the spring event at Gary Point Park see the City of Richmond’s website by clicking Richmond Cherry Blossom Festival. 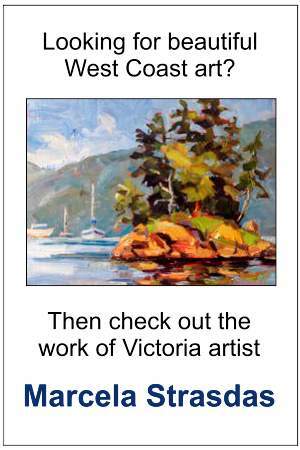 For more information about the area click Steveston Village or Richmond. 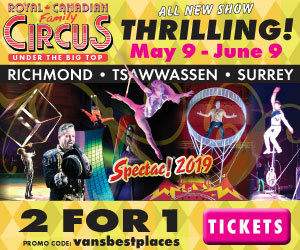 For a list of other things to do on different dates and in other parts of the Lower Mainland, see our April Calendar or Festivals & Events Calendar.